Posted on April 5, 2013 by Richard Darcy This entry was posted in Taxation Strategy by Richard Darcy. Bookmark the permalink. There are times when fringe benefits are considered significant forms of compensation for employees, but they can actually get employees and their employers into tax trouble if they are reported and taxed inappropriately. So it is important that employers are aware of the federal laws governing fringe benefits so employers are aware when they are applicable. Ignorance is never accepted as an excuse by the Australian tax office. The value of both taxable and partially taxable fringe benefits is calculated by grossing up the value of the benefit using the Australian Taxation Office rates which you can view at http://bit.ly/14PrgEz. Many fringe benefits are non-taxable and need not to be reported by the employers for withholding tax depending upon the realized value of the benefit. Fringe benefits ultimately help employees reduce the amount of tax which needs to be remitted on their behalf so the end gross value of the employees pay cheque and goods or services should exceed what they would have received had they simply received a pay cheque. 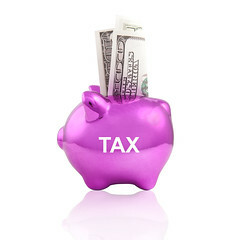 Fringe benefits tax is payable by an employer who is deemed to have provided a fringe benefit to their employees. Note that the rate of fringe benefit tax is independent of the amount of income that has been received for the financial year as currently the fringe benefits tax rate in Australia is 46.5%. Such taxes are to be paid by the employer directly to the tax office for any fringe benefit tax which has been incurred. It is worth noting that fringe benefits tax may still be applicable even if the benefit is offered to an associate or third party of the employee or through an arrangement made by the employer. This can be best defined as a direct or indirect benefit provided by an employer to an employee or individual nominated by the employee for services provided or services to be provided by the employee to the employer. · A portable electronic device. · An item of computer software. · An item of protective clothing. Further to this employers also need to consider that a threshold exists which is nominated by the tax to if the employee would have purchased these items or services on their own using their net income after tax. Fringe benefits often permit an employee to increase the value of the remuneration they receive from an employee for the services the employee provides. office which exempt employers from incurring a taxable fringe benefit whilst not exceeding the threshold. The threshold is nominated at $300 per employee and whilst the benefit which the employer provides remains at or below this amount most benefits will be exempt from fringe benefits tax. Fringe benefits have positive factors for employees as they provide them access to valuable items and services at a cheaper cost when compared.